As I write this it’s December 22nd. In a few days time the majority of Americans will be celebrating Christmas. Like any year, millions of Christmas trees have been cut down so they can make their way into people’s homes. And while I’m not saying hold onto your Christmas tree forever, I am saying you’ll be pleasantly surprised to learn just how useful common pine trees are in survival situations as well as just what the survival uses for Christmas trees happen to be. 1 – Use it as food (pine bark bacon): I’m going to lead off with what I consider to be one of the coolest, and most useful uses for Christmas trees. The inner bark of some pine trees is edible, meaning if you’re ever in a situation where you’re about to starve to death a pine tree could easily help save your life. Essentially you take the inner bark and then cook it (like slabs of bacon) and it’ll help keep you fed in a disaster situation. If you’re interested to see how you can do this then watch this video. 2 – Make a tea out of pine needles: The pine needles you find on your tree are actually loaded with nutrients that you’ll need in a survival situation. Heck, you could use them today for this exact purpose. While primitive cultures have been making these teas for a long, long time, it wasn’t until very recently where we discovered what exactly makes pine needle tea so healthy. 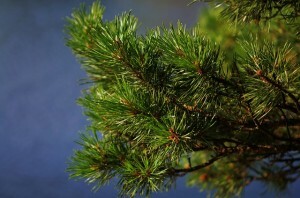 Pine needles are rich in antioxidants. For instance it’s chockfull of Vitamin-C ( contains five times more Vitamin- C than lemon) which is essential for a healthy immune system as well as for a healthy cardiovascular system. And some pine needles are also rich in Shikimic acid, which is the primary ingredient in the ant-flu medicine, Tamiflu. It even has Vitamin – A which is useful in encouraging the protection of our eyes. Now that you see how effective it is at encouraging good health here’s how to make it. A proper tea is made when you collect young, fresh needles, pull the brown ends off, chop into small bits and then let them steep in boiling water for 5-10 minutes. While the flavor isn’t exceptional, the added health benefits certainly are. 3 – Use them for bandages: The inner bark of a pine tree can also be cut out and then fashioned to form a bandage. The added benefit of using the inner pine bark as a bandage? Pine resin carries antiseptic properties that’ll help ward off infection. To make a pine bark bandage you’ll want to remove the exterior bark from a tree and then carefully cut long strips of the inner pine bark out (the same bark you’d eat). Once you have these strips you can wrap it around the wound site and use something like paracord, or a bandanna to help secure it to your body. 4 – Use pine sap as an antiseptic: This is similar to how’d you be using the bark as a bandage. You can take the fresh sap from a tree and apply it to the wound site (or inside of a bandage) for maximum effect. If you can’t find fresh sap heat the resin or sap of a pine tree and then take the now softened sap and do the same. 5 – Use the pine cones for food: I wrote about this is another blog post, but it’s worth repeating. Some species of pine have pine cones with rather large pinecones. Inside of these pine cones are large seeds/nuts, you can use for food. Here’s the video I posted in that blog post. 6 – Harvest pine pollen from pinecones for medicinal use: What you might not realize is the pollen pine trees use for reproduction also plays a role in our reproductive cycle as it can help boost testosterone levels and it can even help protect you from radiaioactive cesium. 7 – Use them to make a natural insect repellant: The intense scent generated by pine resin and sap is great for keeping insects at bay. There are several ways you can use pine sap. Perhaps the most effective is mixing 3 Ounces Pine Tar with 2 Ounces Castor Oil and 1 Ounce Pepperming Oil and then using that as a rub on. If those items aren’t available to you then mixing the heated sap with any kind of fat source, (tallow, lard, etc.) and then rubbing that on your skin will also work. And of course if you have nothing but pine sap you can place that directly on your skin too. 8 – Use them to start fires: Pine trees are a fire’s best friend. That’s one of the reasons the western United States has such a hard time controlling wild fires. In terms of what to use from your Christmas tree one of the first places to go is “fatwood.” Fatwood is found at the bottom of a pine tree and is essentially pine wood with rich deposits of flammable resin in it. Pine sap collects at the bottom of the tree and when you expose this wood you’ll find it’s one of the most effective fire starters around. You can use the shavings from fatwood to help catch a flame, or you can use slivers of it in your fire to get the fire going quick. Always keep a little bit of fatwood on hand so you can get a fire going quick. Other useful fire starters are pine needles, the bark, and the pine cones. Dried pine needles will catch on fire quickly and are great in the bed of a fire. Pine cones can be stuffed full of fire starting material that make it an awesome fire starter too. 9 – Build an entire shelter out of a Christmas tree: If you’re ever in a situation where you need to build a makeshift shelter there’s no doubt a pine tree is one of the best suited for the job. Pine trees can obviously give you the frame, or support for a shelter. And pine boughs can on the roof can help form a roof. And then, if you’ve got enough of it, you can use pine resin to fill any gaps or cracks so you can help insulate it better. 10 – Use them for glue: Resin or sap isn’t just great for its antiseptic properties…that extreme stickiness can also be used for a natural glue. Making your glue is a relatively straightforward process. All you need to do is take 3 parts pine sap to 1 part charcoal. Heat the sap in a metal tin until it’s quite gooey and then mix in the charcoal. Make sure to mix evenly and then let it cool. Once it’s cooled you’ll have a block of pine glue that you’l be able to heat up later and use for things like fletching arrows, patching holes, sealing containers, etc. 11 – Use them for light: You can take that same pine resin glue and then make a light out of it. Check out this video to learn how. Pretty amazing your pine Christmas tree is able to do all of this, isn’t it? 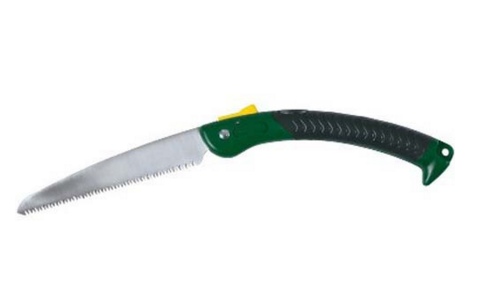 One of the items I’d recommend for use with a Christmas tree is a foldable saw. Click here to get one of the best deals on a foldable saw around. This entry was posted in Survival Basics, Survival Skills, Uncategorized, Videos and tagged Christmas tree, pine, pine tree, pinecones on December 22, 2015 by Survival Frog.